Slayer : South of Heaven. CD en occasion : Parfait état de lecture ! Dès lors que vous achetez un objet, vous vous engagez à respecter ces conditions. Hell Awaits (Live At The Lakeland Coliseum / 1991) 6:50. The Anti-Christ (Live At The Lakeland Coliseum / 1991) 2:48. War Ensemble (Live At The Lakeland Coliseum / 1991) 4:53. South Of Heaven (Live At The Lakeland Coliseum / 1991) [Explicit] 4:25. SLAYER - REPENTLESS CD DVD NEU. 2 Repentless 3:20. 2 Making of Repentless. Hier folgende CD DVD / Here following CD DVD Freigegeben ab: ab 12 Jahren. 1 Live @ Wacken 2014. 12 Pride In Prejudice 4:14. FLOTSAM & JETSAM. 02 Iron Tears 3:52. Iron Tears Demo. 11 Iron Tears 4:05. 02 Iron Tears 3:49. 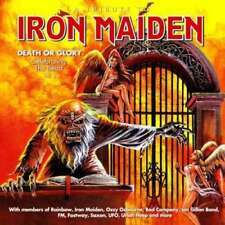 02 Iron Tears - Live At Palace West, New Years 1984. 12 I Live You Die 6:06. Box 2 x CD 1 DVD. 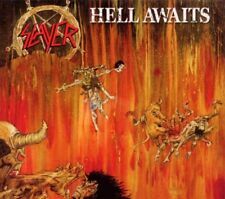 SLAYER "HELL AWAITS" CD DIGITAL REMASTERED NEW!!! SLAYER - REPENTLESS CD BLU-RAY NEU. 2 Repentless 3:20. 2 Making of Repentless. Hier folgende CD Blu-ray / Here following CD Blu-ray Freigegeben ab: ab 12 Jahren. 1 Live @ Wacken 2014. 12 Pride In Prejudice 4:14 #. SLAYER - REIGN IN BLOOD CD NEU. \"Rock\" (Rock / Rockpop). Hier folgende CD / Here following CD Rock englischsprachig. SLAYER "SHOW NO MERCY" CD REMASTERED NEW!!!! Format:CD, Album. 11 Wicked 6:01. 10 Screaming From The Sky 3:12. 9 Scrum 2:16. 7 Desire 4:20. 6 Love To Hate 3:07. Titre : Undisputed Attitude. 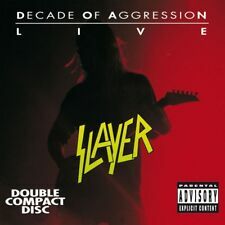 CD : SLAYER. 3 Skeleton Christ 4:22. Format:CD, Album. 9 Cult 4:40. 8 Black Serenade 3:16. 7 Catatonic 4:54. 6 Consfearacy 3:07. 5 Jihad 3:31. 4 Eyes Of The Insane 3:23. 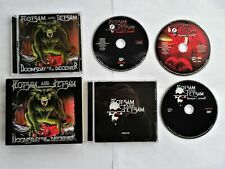 Format:CD, Album. 15 Gemini 4:53. 14 I'm Gonna Be Your God 2:58. 13 Richard Hung Himself 3:21. 12 Violent Pacification 2:38. 11 Mr. Freeze 2:23. 10 Sick Boy 2:14. 9 Spiritual Law 3:00. DISC (DISQUE) 1 DISC (DISQUE) 2 Release Date (Date de sortie): 11 Sep 2015 (11 septembre 2015). Format: CD. Born of Fire. Seasons in the Abyss. Captor of Sin. War Ensemble. SLAYER "GOD HATES US ALL" CD NEW!!!!! DVD COMPONENT: ALL REGIONS. Angel of Death. South of Heaven. Black Magic. Raining Blood. Dead Skin Mask. Born of Fire. Season in the Abyss. 5 Divine Intervention 5:33. Format:CD, Album. 9 213 4:51. 8 Serenity In Murder 2:36. 7 SS-3 4:06. 6 Circle Of Beliefs 4:29. Slayer - Seasons In The Abyss (Digital Remastered). Attori: Slayer. Fabriquant: IMS-UNIVERSAL INT. Manufacturer: IMS-UNIVERSAL INT. Le consommateur supporte les coûts directs engendrés par le renvoi des biens. CD d'occasion en bon état. Tous les envois se font avec numéro de suivi. WORLD PAINTED BLOOD. World Painted Blood. Hier folgende CD / Here following CD Not Of This God. Playing With Dolls. Human Strain. Release Date (Date de sortie): 11 Sep 2015 (11 septembre 2015). Format: CD. WORLD PAINTED BLOOD. World Painted Blood. 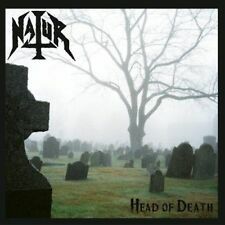 Hier folgende CD / Here following CD Not Of This God. Playing With Dolls. Human Strain. Hate Worldwide. 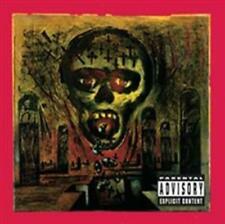 SLAYER - CHRIST ILLUSION (EXPLICIT) CD NEU. 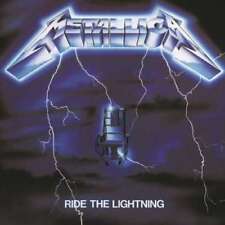 Hier folgende CD / Here following CD \"Rock\" (Rock / Rockpop). Rock englischsprachig. SLAYER - GOD HATES US ALL CD NEU. \"Rock\" (Rock / Rockpop). Hier folgende CD / Here following CD Rock englischsprachig. Interpret Slayer. Format Album. / BB´S 4-30 CD = 8 ?. The Big Four: Live From Sonisphere / Sofia Bulgaria. The Big Four. Hier folgende 2 DVD/ Here following 2 DVD Auf der Doppel-DVD "The Big Four: Live From Sofia, Bulgarien" sind die kompletten Auftritte aller vier Bands sowie Behind The Scenes Material und Interviews. SLAYER - REPENTLESS CD NEU. Hier folgende CD / Here following CD Pride In Prejudice. You Against You. Atrocity Vendor. Piano Wire. Chasing Death. JAPAN SLAYER-REPENTLESS-CD BLU-RAY I98. 1 [Blu-ray] SLAYER Live au Wacken 2014. Artist Slayer. Warner Music Japan. JAPON CD BLU-RAY. CD AUDIO BLU-RAY (REGION FREE). Record Label WARNER MUSIC JAPAN. Skeleton Christ. Release Date (Date de sortie): 09 Apr 2013 (09 avril 2013). Format: CD. Eyes Of The Insane. Raining Blood. 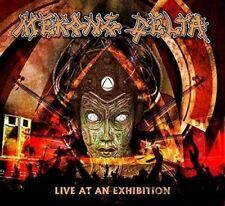 Release Date (Date de sortie): 27 Mar 2007 (27 mars 2007). Format: CD. Criminally Insane. Jesus Saves. SLAYER "LIVE UNDEAD/HAUNTING THE CHAPEL" CD NEW!! Slayer - Repentless (Limited Deluxe Digipak). Note: Deluxe Edition Digisleeve. CategoriesVinyl CD DVD Blu-Ray MC/Cassette. Support: CD DVD. Artículo dañado o defectuososerá reemplazado sin costo alguno para usted. Format Alben. L'outil libre de liste. Slayer - Reign In Blood. Support: CD. CategoriesVinyl CD DVD Blu-Ray MC/Cassette. Artículo dañado o defectuososerá reemplazado sin costo alguno para usted. Los gastos de envío para la restitución a su cargo. SLAYER - REPENTLESS - CD BLU-RAY - NEUF. Angel of Death. South of Heaven. Black Magic. Raining Blood. Dead Skin Mask. Born of Fire. Season in the Abyss. Raining Blood. Release Date (Date de sortie): 20 May 2013 (20 mai 2013). Format: CD. Criminally Insane. Jesus Saves. Altar Of Sacrifice.